In today's world of Google and other powerful search tools, maintaining your privacy can be a daunting challenge. Using a reverse telephone directory, anyone with Internet access is able to learn the name behind a phone number, as well as see the address, a satellite image of the home, and a variety of other details harvested from public and private records. Thankfully, even the all-seeing eye of Google can be blinded if you know what steps to take. 1. Understand how reverse directories work. Reverse phone directories are much like a regular phone book. 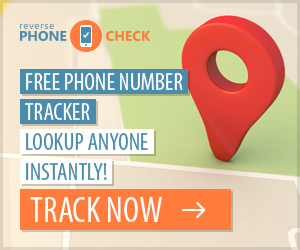 However, instead of looking up an individual's name to find that person's phone number, a reverse directory uses a number to find the name and address attached to it. Initially, both phone books and reverse directories used the same set of information, meaning that all information available in a reverse directory was readily available in the white pages. This all changed with the spread of the Internet. As phone listings were put online, the information they provided served as a starting point for further research through digitized records. In the years since, companies offering these listings have built extensive databases that draw from commercial calling lists, public records, and other sources. 2. Get an unlisted number. Because reverse telephone directories use information culled from telephone company records, your telephone company is the place to start. For a small monthly fee, your phone number will not be listed in any phone directories that the company publishes for public use, including online white pages. 3. Keep your an unlisted number confidential. Many businesses use loyalty programs and prize giveaways as a means to collect names and phone numbers for future calling lists. The businesses that organize these programs often boost their profit margins by selling or renting these lists to telemarketers, researchers and other organizations. These lists often are the source for reverse lookup directories of unlisted numbers. 5. Contact individual directories to opt out of listings. Many reverse directories available online will remove some or all information upon request. Such companies are numerous, so it will be most worthwhile to focus on the largest and most accessed directories. Google Phonebook, for example, allows anyone to search for information by name, address or phone number. Removing yourself from these search results is as simple as filling out a short online form. The information will be removed within 24 hours. Other companies, such as InfoSpace, AnyWho, Intelius and Switchboard.com, allow individuals to opt out of appearing in their information listings. Unfortunately, many listings pull their information from public records, which are freely available to anyone by law. Land ownership records, petitions, bankruptcy filings and a host of other records may contain your phone number, which will then be accessible to reverse directories. 6. Report any directories that refuse to delist your information to the Better Business Bureau or the Federal Communications Commission. Note that this is no guarantee of compliance. Ultimately, the only surefire way of keeping your phone number off of these lists may be to simply have no phone or to change your number often.